Do you have difficulty producing high-quality documents with multiple contributors when faced with a tight deadline? Do you need a process that enables global team members to collaborate online as they produce sophisticated documents? Do you prefer the ease of a WYSIWG desktop publishing tool like Microsoft Word rather than more complex software like LaTeX? Do you want to streamline the process of writing multi-investigator papers, reports, proposals, and books? Do you spend a lot of time formatting documents instead of thinking and writing? 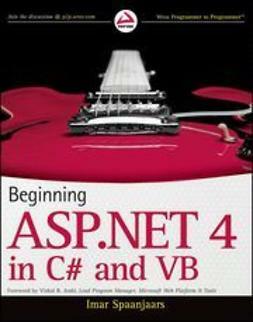 Do you write research papers in Microsoft Word and then need to convert them to LaTeX for your thesis? Do you write research papers in LaTeX and then need to convert them to Microsoft Word when embarking on collaborations with your colleagues from industry? Do you need to write a research paper and don't know where to start? Do you need to collaborate with classmates on a long paper and find yourself lost in organizational details rather than immersed in the content? If you answered "yes" to any of these questions, Technical Writing for Teams: The STREAM Tools Handbook is for you. It provides an easy-to-learn system that streamlines individual and collaborative writing, allowing you and your teams to instantly become more productive and create the highest quality documents in a minimum amount of time. Introduced here are the STREAM Tools—Scientific and Technical wRiting, Editing, And file Management Tools—which unlock your collaborators' potential and addresses team dynamics, separation of duties, and workflow. You'll see how to ensure compatibility among multiple writers, achieve consistent formatting, organize content, integrate bibliographic databases, automate the process of document preparation, and move content between Microsoft Word and LaTeX. Checklists, guidelines, and success stories are also included to help you operate as efficiently as possible. 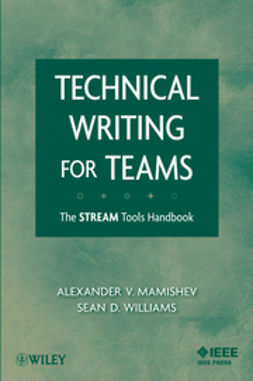 From planning and editing documents to solving common team writing problems to managing workflow, Technical Writing for Teams: The STREAM Tools Handbook is the one-stop reference that allows teams to collaborate successfully and create unified, effective documents.